Received a large shipment of miniature conifers today. Here's an example of three mini's in a container garden. If you're looking for the unusual, these plants are incredible since they can be used both indoor and outdoor. Model railroaders have known about this secret for years. 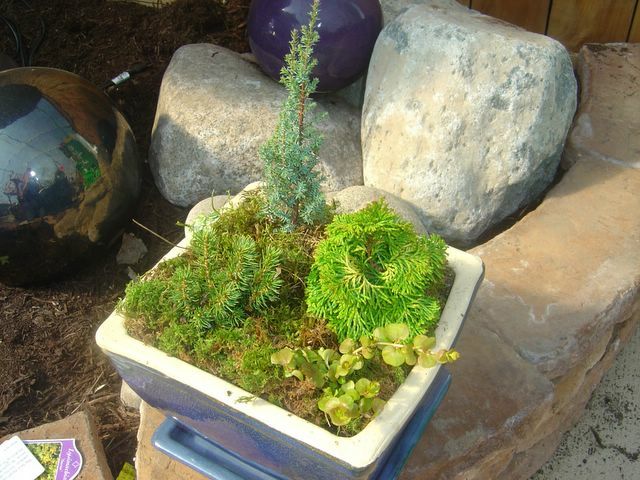 They have been making life-like landscapes with these miniature plants. Now you can have the outdoors, indoors all winter. We have the greatest selections of mini's in St. Louis and we will restock these all year long.